I would need a book the size of the Yellow Pages to list all the embarrassing things about my dad. The most embarrassing thing of all is his ugg boots. he wears them all the time, even in public, even in summer, even with shorts. Jake has a problem – two problems actually, and both of them are on the ends of Dad’s legs. Dad seems permanently attached to his ugg boots. He wears them everywhere, all year round. They are old and stained, but Dad doesn’t care. He says they’re his pride and joy. Jake cares, though. He worries what people might think, and tries desperately to find a way to get Dad and his ugg boots separated – for good. The Ugg Boot War is a humorous, easy to read story about ugg boots and family. The resolution is both satisfying and fun, and the story is complemented with colour illustrations, by Tom Jellett, bringing the action to life. 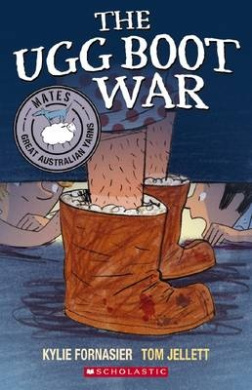 Part of Omnibus Books’ fantastic Mates series, The Ugg Boot War is a fabulous Aussie tale for beginning readers. Have you ever wanted to know something so badly that you’d do anything to find out the answer? I’ve had a burning question raging inside me for nearly 15 years and it’s not a flippant question like ‘will blue be the new black this winter?’ It’s the simple age old question that everyone would like to know the answer to but refuses to actually ask. After fifteen years of wondering and with a pressing desire to connect with a recently deceased relative, Josh Langley decided to thoroughly investigate the possibilities and probabilities of the afterlife, in an attempt to answer the question of life after death for himself. His investigations ranged from visiting a crematorium, to consulting mediums, and attending a spiritualist church, as well as looking inwards through experimenting with lucid dreaming and out of body experiences, as well as conducting a ghost hunt. Dying to Know is an honest and open account of Langley’s attempts to answer the question for, showing both an amazing commitment to his topic, and a willingness to share those experiences with readers. As Langley explains, he wants to establish an answer for himself, but by sharing his journey, he provides an opportunity for others to learn and to ponder. Easy to read, and thought provoking. Today I’m delighted to welcome Angela Sunde to the blog, here to talk to us about her latest book as part of her blog tour. Welcome, Angela. 1. Give us the details – title, publisher, illustrator, release date. 2. Why did you write the book? Snap Magic was written as a stand-alone sequel to my Aussie Chomp, Pond Magic. 3. How long from idea to publication? It took three years from idea to publication, as the Aussie Chomps list closed just after I submitted Snap Magic to Penguin. 4. What was the hardest thing about writing it? The hardest thing was probably finding a starting point. The idea for Snap Magic came from a short story I wrote called Snap, which was shortlisted for the Charlotte Duncan Award in 2009. 5. Coolest thing about your book? I’m very proud of the colourful, quirky characters who are thrown into hilarious and cringeworthy situations, and that my original senior editor at Penguin loved my story so much she jumped at the opportunity to work with me again. The coolest thing is how beautifully edited it is, and I also love the layout and cover. 6. Something you learnt through writing the book? I learnt that it is difficult to deliver consequences for covert bullies, unless your next-door neighbour is a witch. (There is a covert and an overt bully in the story.) And I now understand how the publishing world operates and that, with the right professional senior children’s editor and book designer, the only difference is the size of your catalogue. 7. What did you do celebrate the release? 8. And how will you promote the book? 9. What are you working on next? I’m working on a picture book during a week’s residency at Pinerolo Children’s Book Cottage in the Blue Mountains as Illustrator in Residence at the end of this month. 10. Where we can find out more about you and your book? Thanks for having me on Aussiereviews. Some people think that the point of living in a tall building is the view, but that’s not how my parents saw it when they chose to live on the ground floor. All we can see from our apartment is the Wall. There was a time when I didn’t know that there was any other kind of view, and I felt good, even smug, about the extra space they said we had, and about not having to climb up flights and flights of stairs. Cara lives in the shadow of the Wall, a wall which protects its citizens from the outside world. By following the rules, Cara and her sister are safe, even when their parents are away doing important work for the government. But hen Cara befriends Leona and Ava, who live in an apartment upstairs she slowly begins to question what she has always known. Are food shortages, high security and unquestioning loyalty really making people happy and safe? Ava doesn’t seem to think the rules are all that important. Perhaps that is why she disappears. 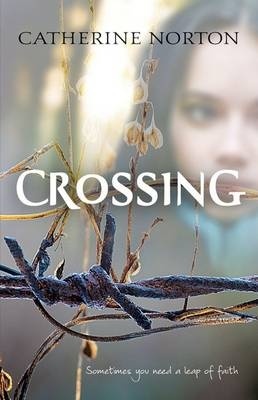 Crossing is a thought-provoking look at life without freedom, in a government-controlled world with shades of Orwell or East Germany. The ever-present Wall, the distribution of food, and the fear of breaking rules overshadow everything Cara does, and her absentee parents seem to care less about her than about their mysterious duties for the government. Through the use of flashbacks and hints of what has happened, readers are invited in to Cara’s world, and to the dilemmas she faces, as they piece together what is going on. Suitable for upper primary and young adult readers. Edvin was on the bowpost lookout. ‘Ship!’ he called, pointing to the south-west. At first, Hal saw nothing. But as Heron rose onto the crest of a wave, he saw a dark shape, low in the water. Stefan, who had the keenest eyesight, had leapt up onto the starboard rail, steadying himself on one of the thick stays. Hal and his friends of the Heron brotherband are bored, so when they are offered the chance to be the Skandian duty ship to the Kingdom of Araluen, they are excited. With Hal’s new dog – Kloof – joining the crew, they set sail for their new post. But even before they arrive, their duties begin. A stricken boat has been attacked by a rogue ship, and its crew is one they know only to well. Soon they are on the trail of their old foe Tursgud, along the way needing to mount a rescue mission for twelve Araluens who he has taken to be sold as slaves. Slaves of Socorro is the fourth in Flanagan’s Brotherband series, set within the same world as as the successful Ranger’s Apprentice books. Fans of the latter series will be delighted to see Ranger Gill appear in Slaves of Socorro, travelling with the Herons to free the slaves. As always, there is plenty happening here – action and suspense, along with humour and plenty of luck. Hal’s dog, who attaches itself to him early in the book, is an entertaining addition to the crew and readers with an interest in boats and sailing will find the detail of the boat and its journey fascinating, though it doesn’t overwhelm the story. 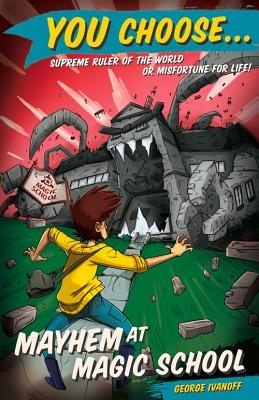 Good stuff for young adult readers, and competent primary aged readers too. You freeze. Where did that voice come from? You are in the hallway of the small guesthouse in the seaside town of Seabreeze. You and your parents are staying here for the summer holidays. You Choose is an exciting new series of choose your own adventure type books from Australian author George Ivanoff, aimed at primary aged readers. In The Treasure of Dead Man’s Cove , readers make decisions during a stay at a seaside town rumoured to have hidden treasure. Depending on what choices they make along the way they could uncover the treasure, or be destined for doom stuck in a cave with a rising tide. In Mayhem at Magic School the reader finds themselves with surprising magical skills, and has to decide whether to keep them hidden, or head off to magic school. Both books will appeal to readers of a range of levels and interests. For reluctant readers, the appeal of being able to complete the adventure fairly quickly (in Mayhem at Magic School it is possible to reach the end by page 21, depending on the choices made), will appeal, but of course curiosity about where other choices may lead is likely to encourage further reading and rereading. The novelty value is heightened by the use of second person narrative (‘you’), which allows the reader to place themself in the story and encourages them to consider what choices they would make. This high interest, fast moving pair is loads of fun. Then he frowned and looked down at his pants. Smartie pants? Does that mean my pants are smart? Colloquial expressions like smartie pants and too big for your boots, words with two meanings, and even expressions of social nicety such as saying thankyou are among the many challenges for learners of English as a second language. In Badudu Stories, thee difficulties are explored through characters learning to speak English at a remote school in central Western Australia. The characters deal with the complexities of English while also having common childhood experiences – playing football, forming friendships and learning to fit in. 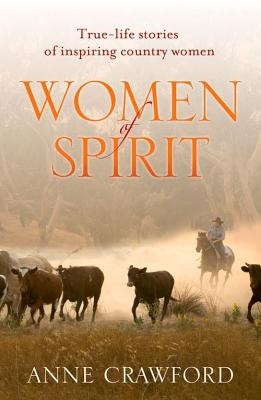 The stories draw on author May L. O’Brien’s childhood experiences at Mount Margaret Mission, and as a teacher in rural and metropolitan schools, though the stories have a contemporary rather than historical feel. The stories were published as picture books in 1994 and have now been reproduced in one volume, suitable for primary aged readers. She came so close I could see a mole above her lip. She spat/ A glob landed on the window in front of my face. ‘Bloody Japs!’ she said, shaking her fist. The train groaned as it moved away. The woman became smaller till she was no more than a pale slip, but I could still see her face. Eyes narrowed, mouth tight – her features twisted with hate. It is 1942 and Japan has entered the second war against the allies. Tomokazu Ibaraki, who has been working as a doctor in Broome, finds himself a prisoner of war, interned with other Japanese men in remote South Australia. Here he works in the infirmary and lives in close quarters with men of Japanese heritage with a range of backgrounds\, including a group of men who were born in Australia and see themselves as Australian. He finds friends but he is also confronted with the difficulties of a life in confinement, and with the dilemma of which men are actually his friends, and which have darker sides to their natures. While he deals with his present, Dr Inaraki must also confront his past, a past peppered with personal tragedy and dilemmas created by promises he made. Coming to Australia was supposed to offer a chance for redemption – to leave that life behind and build something new, but events in the internment camp force him to revisit things he would rather forget. 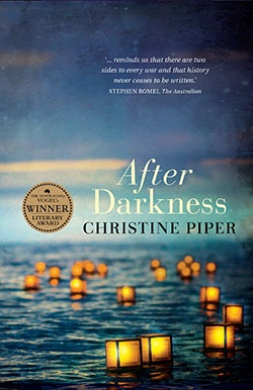 After Darkness, the winner of this year’s Vogel Award, is a haunting debit novel about friendship, loyalty, and the promises. Ibaraki is a man of honour who is believably flawed in his inability to find a way through difficult situations he finds himself in, yet is ultimately a likeable character with whom it is easy to sympathise. Set amidst the backdrop of World War II, and the years prior, the story offers an insight into historical events with which many readers would be unfamiliar. A haunting read. When Laura Murphy is handed the reins of the family property, she hopes that she can justify the trust placed in her. She sets to work building her breeding program and establishing a school to teach young women farming and property management skills. She is independent, strong and determined to succeed. Not everything is perfect though. Laura is haunted by a personal tragedy which cost her a friendship and broke up her relationship with Josh, from the neighbouring property. Her latest batch of students have started off strongly, but seem to splintering as a group as the year goes by. And a solicitor has notified her that someone else has a claim over Nambina. It’s going to take all her strength to keep it all together. Crimson Dawn is a rural novel of courage, family and survival. With elements of mystery and romance, and a slit narrative which gradually reveals the details of the family split which lead to the property claim, there is a lot happening in the story, but McDonald weaves the varying threads together strongly. An absorbing, satisfying story of outback life.